Monitoring your marketing metrics is of critical importance to understanding how effective your campaigns are being run. By setting marketing KPIs, you can see what areas are working, those that require more resources and those which you ought to drop altogether. Let’s get to it. Additionally, reach may take into account the amount of time that a user has viewed your advert. If skippable, this may mean that the user has seen less than a second of your advert, or alternatively might mean they have watched the whole thing. As such, by itself ‘reach’ may not be a good indicator of how effective your campaigns are running. It should be used as a base upon which you can understand other marketing metrics. This will give you an understanding of how well targeted your adverts are. A higher click through rate might mean that you have created an effective campaign, have targeted the right demographics or both. 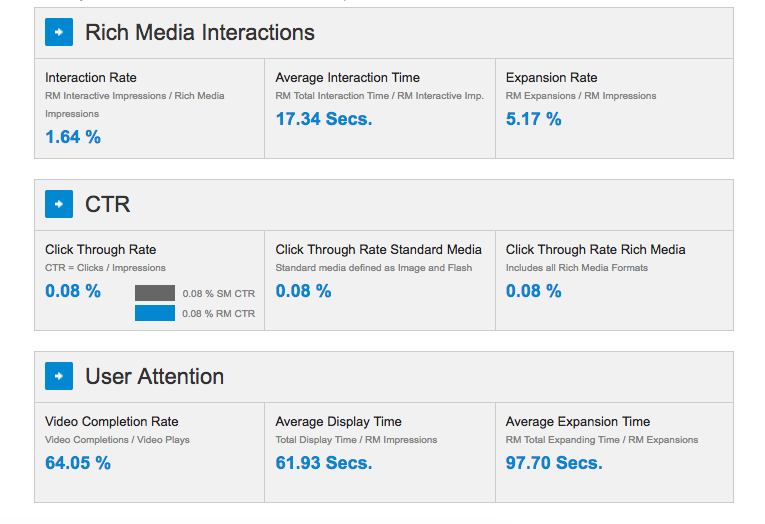 Above are the UK-wide benchmarks for CTRs on display advertising in the UK according to Google’s Rich Media Gallery. This is defined as the ratio of clicks to an external URL to the number of impressions of the Ad. This is a general statistic across all sectors, all advertising space, and all campaigns. The customer conversion rate is the percentage of prospective customers who take a specific action or complete a goal that you have set. Or effectively any goal that you want your users to complete. This is one of the most important marketing metrics because it is purely results driven, and can be monitored using a variety of tools including Google Analytics. However, this can be a complicated process for the average business owner and it’s recommended that you bring in a conversion rate optimisation expert to really get the most out of your website. Email open and click-through-rates for discount codes. The amount of discount codes being used. According to technology solutions company Inmar, the average online coupon redemption rate as of 2015 was 3.5%. However, year upon year, coupon usage is growing at an astronomical rate, so this number is likely to be outdated. Mobile coupon usage, for instance, has grown to 100million users in 2016 according to ReadyCloud, a growth of 12.42% increase from the previous year. Taking this into account, we are likely to be seeing an online coupon redemption rate in 2017 or over 4.5%. The average order value (AOV) gives you an understanding of the amount of money spent each time your customer places an order through your website. In order to calculate the average order value, you divide the total revenue by the number of orders placed. For example, if last year you made £1.5 million in sales and had a total of 15,000 orders placed, your average order value would be £100. You can set the timeframe to calculate AOV for as long as you want, however most businesses will evaluate their AOV month over month or quarter over quarter. This will give you the scope to evaluate your marketing and pricing strategies by helping you understand how the value of individual customers is changing over time. In many cases, business owners feel that focusing on increasing traffic to their website will lead to the biggest increase in revenue. Whilst it’s certainly a factor, it is often easier and more economical to focus on increasing the average order value. 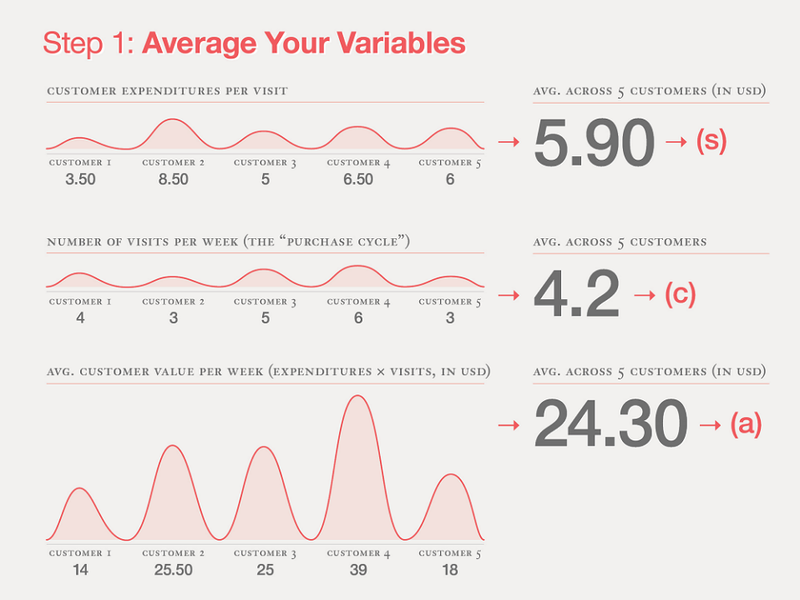 For more information on how to calculate this value check out Kissmetrics’ infographic here. Website Metrics You Must Be Monitoring!